Regardless of your age, the issue of estate planning, in conjunction with your will, is an essential element of life planning. However, at different stages of your life, certain issues may arise that require different estate planning strategies. You could be quite surprised once you assess the current and projected value of your estate. After you read this chapter and complete the net worth statement in Appendix D, speak to your professional advisor and decide on the best approach to meet your wishes. It is estimated that only one out of three adults has a will, which means that two-thirds of Canadians die with their wishes unmet. A will is an important legal document that can ensure that your assets will be distributed to the beneficiaries of your choice in the way you wish. You will probably want to give authority to others to act on your behalf at some point in your life. Whether it is to help or take charge of financial situations or medical care, the power of attorney is the document that will allow you to choose your designate and set out the guidelines that you wish to be followed. Trusts are a very common way of dealing with a range of personal choice, family or business options and, as you will see, are not just for the rich with complex financial affairs. While not all estates must go through the probate process, most estates do. Basically, the probate process ensures that your executor, or the administrator of your estate, is legally confirmed and that your will is approved by the courts. Don’t be fooled – just because there is no inheritance tax, as such, in Canada; the beneficiaries of your estate will incur a significant amount of tax in the settling of your estate unless you do an effective job in planning your estate for tax minimization. The final “moments of reckoning,” in terms of estate administration, are the filing of your final tax return. It is your executor’s responsibility to see that all of your debts are paid – even the ones to the Canada Revenue Agency. Tax “planning” as opposed to tax “evasion” is perfectly legal. While this chapter won’t make you an expert, the odds are that at least one of the strategies outlined will help you minimize the future taxes payable in your estate. As if the tax laws of one country weren’t enough, you may be subject to the tax laws in both Canada and the United States if you live in the U.S. part-time or own property or other investments there. Vacations are a time to relax and forget your worries. Financial concerns and capital gains taxes should be the last thing on your mind. This chapter will provide some ideas for dealing with vacation properties in your estate planning. With more than 100,000 family businesses in Canada, they have been the driving force building and sustaining our economy from Confederation to the present time. This chapter will help you create an effective succession arrangement and estate plan. Many of the greatest works of art are on display in public art galleries and museums for all to enjoy because of the philanthropy of past Canadians. Charitable donations can be made in many different ways – cash, works of art, marketable securities. Choosing the best method will maximize your income tax saving. You must choose according to your needs from among the many types of life, health and disability insurance. 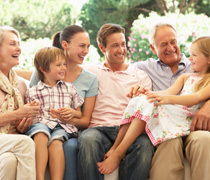 The type of insurance you choose can play an important role in your estate planning strategy. Selecting the professional advisors that “fit” you is vital to protect your tax and estate planning interests. This chapter will outline the qualities and qualifications to look for in a lawyer, an accountant, a financial planner and other financial and investment advisors. Whether by choice or circumstance, you may need to enter a retirement residence or care facility in your later years. Use this chapter and the checklists to plan and choose wisely. In the midst of the grief and sorrow of losing a loved one, responsibilities have to be faced and decisions made consistent with the philosophical and spiritual beliefs of the deceased. Information in this chapter will help you make those decisions wisely and with confidence. One of the challenges of research is to know where to start. This Appendix will save you a great deal of time, energy, money and hassle. Samples of documents discussed throughout the book will provide you with some more ideas, but these are for illustration only and must not be used as do-it-yourself documents. The handy charts in this Appendix will provide some points of comparison on topics discussed throughout the book. These checklists will help you take stock of your current situation and focus on your future goals. The definitions here will ensure that you and your professional advisors are speaking the same language.